While you’re setting your Thanksgiving menu, give some extra thought and effort to the cranberry sauce that will be on the table. 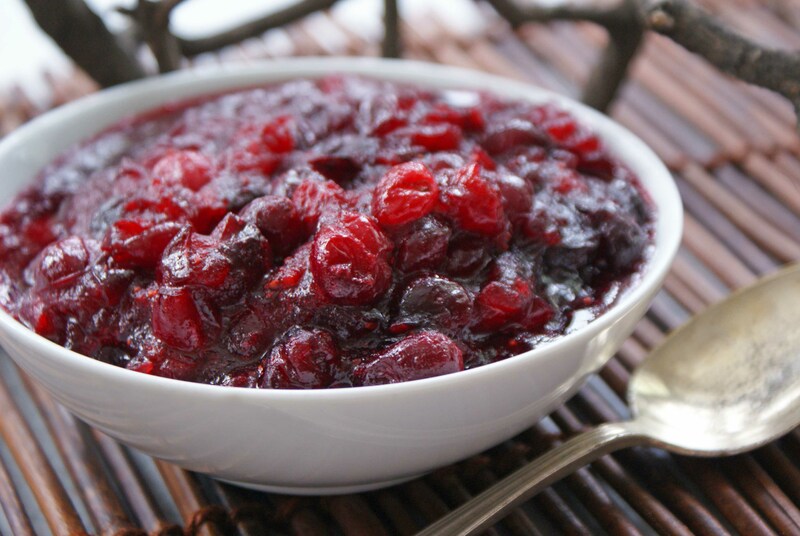 If you’ve never made homemade cranberry sauce simply because you thought it was too complicated to make, I have a simple and tasty recipe that is far better than the overly sweet and gelatinous material you’ve been eating for years. This year, I’m scheduled to work at the fire station on Thanksgiving and will be making a variation of this for my crew- minus the bourbon of course. The best thing about this recipe is that it only contains 7 ingredients that are likely sitting in your kitchen right now. Cranberries are one of only three fruits that are native to North America. It’s a wild fruit that grows on long-running vines in sandy bogs and marshes, mostly in the Northeast, but also in parts of the Pacific Northwest. Native Americans were the first to enjoy cranberries and also believed in the medicinal value of cranberries—long before science discovered cranberry’s health benefits. Native Americans also used the rich red juice of the cranberry as a natural dye and mixed deer meat and cranberries to make pemmicana, a survival food. Variations of this survival food are still popular with survivalists todays due to its infinite shelf life. Although Cape Cod Pequots and the South Jersey Leni-Lenape tribes named cranberries “ibimi,” or bitter berry, It was the early German and Dutch settlers who started calling it the “crane berry” because the flower looked a lot like the head and bill of a crane. Did you know that Americans consume 400 million pounds of cranberries a year, 20 percent during Thanksgiving week? Thats berry easy to believe.